Perhaps Microbes Trigger Alzheimer’s Disease? Author SimaPublished on September 29, 2017 September 29, 2017 Leave a comment on Perhaps Microbes Trigger Alzheimer’s Disease? Another article was published this month raising the issue of whether Alzheimer's disease is caused by a microbe - which can explain why all the medicines and experimental drugs aimed at treating the "tangles" or amyloid plaques in the brain are not working as a treatment (because that's the wrong approach). The microbe theory of Alzheimer's disease has been around for decades, but only recently is it starting to be taken seriously. Some of the microbes found in patients with Alzheimer's disease (from analyses of both normal brains and Alzheimer patient brains after death): fungi, Borrelia burgdorferi (Lyme disease), herpes simplex virus Type 1 (HSV1), and Chlamydia pneumoniae. In late 2011, Drexel University dermatology professor Herbert Allen was astounded to read a new research paper documenting the presence of long, corkscrew-shape bacteria called spirochetes in postmortem brains of patients with Alzheimer’s disease. Combing data from published reports, the International Alzheimer Research Center’s Judith Miklossy and colleagues had found evidence of spirochetes in 451 of 495 Alzheimer’s brains. In 25 percent of cases, researchers had identified the spirochete as Borrelia burgdorferi, a causative agent of Lyme disease. Control brains did not contain the spirochetes. Allen had recently proposed a novel role for biofilms—colonies of bacteria that adhere to surfaces and are largely resistant to immune attack or antibiotics—in eczema.... Allen knew of recent work showing that Lyme spirochetes form biofilms, which led him to wonder if biofilms might also play a role in Alzheimer’s disease. When Allen stained for biofilms in brains from deceased Alzheimer’s patients, he found them in the same hippocampal locations as amyloid plaques. Toll-like receptor 2 (TLR2), a key player in innate immunity, was also present in the same region of the Alzheimer’s brains but not in the controls. He hypothesizes that TLR2 is activated by the presence of bacteria, but is locked out by the biofilm and damages the surrounding tissue instead. Around the same time, neuropathologist Miklossy, then at the University of Lausanne in Switzerland, was detailing the brain damage caused by spirochetes—both in neurosyphilis and neuroborrelia, a syndrome caused by Lyme bacteria. She happened upon a head trauma case with evidence of bacterial invasion and plaque formation, and turned her attention to Alzheimer’s. She isolated spirochetes from brain tissue in 14 Alzheimer’s patients but detected none in 13 age-matched controls. In addition, monoclonal antibodies that target the amyloid precursor protein (APP)—which, when cleaved, forms amyloid-β—cross-reacted with the spirochete species found, suggesting the bacteria might be the source of the protein. Meanwhile, in the U.S., a third line of evidence linking Alzheimer’s to microbial infection began to emerge. While serving on a fraud investigation committee, Alan Hudson, a microbiologist then at MCP-Hahnemann School of Medicine in Philadelphia, met Brian Balin.... Soon, Balin began to send Hudson Alzheimer’s brain tissue to test for intracellular bacteria in the Chlamydia genus. Some samples tested positive for C. pneumoniae: specifically, the bacteria resided in microglia and astrocytes in regions of the brain associated with Alzheimer’s neuropathology, such as the hippocampus and other limbic system areas. Hudson had a second technician repeat the tests before he called Balin to unblind the samples. The negatives were from control brains; the positives all had advanced Alzheimer’s disease. "We were floored,” Hudson says. Thus, as early as the 1990s, three laboratories in different countries, each studying different organisms, had each implicated human pathogens in the etiology of Alzheimer’s disease. But the suggestion that Alzheimer’s might have some microbial infection component was still well outside of the theoretical mainstream. Last year, Itzhaki, Miklossy, Hudson, and Balin, along with 29 other scientists, published a review in the Journal of Alzheimer’s Disease to lay out the evidence implicating a causal role for microbes in the disease. The microbe theorists freely admit that their proposed microbial triggers are not the only cause of Alzheimer’s disease. In Itzhaki’s case, some 40 percent of cases are not explained by HSV1 infection. Of course, the idea that Alzheimer’s might be linked to infection isn’t limited to any one pathogen; the hypothesis is simply that, following infection, certain pathogens gain access to brain, where immune responses result in the accumulation of amyloid-β, leading to plaque formation. Published on September 29, 2017 September 29, 2017 Categories brain, Lyme Disease, microbesTags Alzheimer's disease, amyloid plaques, Borrelia burgdorferi, herpes simplex type 1, spirochetesLeave a comment on Perhaps Microbes Trigger Alzheimer’s Disease? Surprised...is how I felt after reading this study. According to the study, activity levels and exercise in mid-life are not linked to cognitive fitness and dementia later on in life. Instead, higher levels of physical activity and exercise has a beneficial effect on the brain in the short term (e.g., within 2 years or so). This finding of no long-term benefits, but only short-term benefits to the brain from exercise, is contrary to some other (cross-sectional) studies, but is supported by another recent study ("no evidence of a neuroprotective effect of physical activity"). A study led by Johns Hopkins Bloomberg School of Public Health researchers that tracked activity levels of 646 adults over 30 years found that, contrary to previous research, exercise in mid-life was not linked to cognitive fitness in later years. The finding suggests that physical activity may not help maintain cognitive function, or help avoid or delay the onset of the debilitating conditions like dementia and Alzheimer's. There is no known treatment or cure for Alzheimer's or dementia, syndromes that involves declining memory, confusion and eventually limited ability to perform daily tasks. To date, there are no preventive measures, such as physical exercise, brain games or a diet regimen, that have been proven to help delay or altogether prevent its onset. 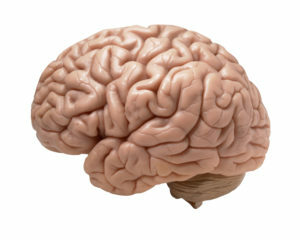 The researchers undertook the study because of a growing consensus that physical activity levels helps prevent Alzheimer's, however much of the evidence for this thinking is based on cross-sectional studies that compare responses from one group of participants with another at a given point in time or within a very short duration, typically several years..... That's where longitudinal studies, which look at the same group of participants over a long time, are more helpful. The researchers used data from the Johns Hopkins Precursors study.... 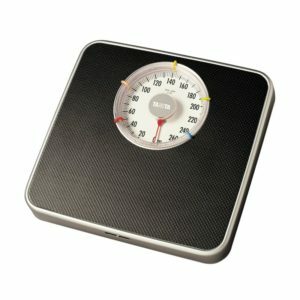 The researchers used responses from 1978 through 2008 from 646 participants (598 men, 48 women) to calculate so-called metabolic equivalents, which quantify physical activity levels. Participants were also asked whether they regularly exercise to a sweat. The team administered cognitive tests in 2008, and, using participants' medical records, scored for dementia through 2011. The researchers identified 28, or 4.5 percent of the cohort, to have Alzheimer's. This post is more on the theme of nanoparticles and human health. My last post was about a study that examined how inhaled nanoparticles (for example, from air pollution) travel from the lungs to the bloodstream. Well, today's post is about a pretty shocking 2016 air pollution nanoparticle study which examined the brains (brain tissue) of 45 dead people (ages 3 to 92) who had lived for a long time in two places with heavy particulate air pollution - Mexico City and Manchester, England. Some of the British people also had Alzheimer's disease or dementia. The researchers found evidence that minute nano-sized particles of magnetite from air pollution can find their way into the brain. There are 2 forms of magnetite (which is an iron ore) - one naturally occurring (jagged edges in appearance), and one found commonly in air pollution (smooth and rounded - from being created in the high temperatures of vehicle engines or braking systems). The researchers are concerned that the air pollution nanoparticles may increase the risk for brain diseases such as Alzheimer's. One of the researchers (Prof Barbara Maher) has previously identified magnetite particles in samples of air gathered beside a busy road in Lancaster, England and outside a power station. She suspected that similar particles may be found in the brain samples, and that is what happened. "It's dreadfully shocking. When you study the tissue you see the particles distributed between the cells and when you do a magnetic extraction there are millions of particles, millions in a single gram of brain tissue - that's a million opportunities to do damage."... "It's a whole new area to investigate to understand if these magnetite particles are causing or accelerating neurodegenerative disease." However, it must be stressed that at this time there is no proven link between these magnetite particles and any neurodegenerative diseases. They're just wondering.... they call finding these pollution nanoparticles "suggestive observations". Tiny magnetic particles from air pollution have for the first time been discovered to be lodged in human brains – and researchers think they could be a possible cause of Alzheimer's disease. Researchers at Lancaster University found abundant magnetite nanoparticles in the brain tissue from 37 individuals aged three to 92-years-old who lived in Mexico City and Manchester. This strongly magnetic mineral is toxic and has been implicated in the production of reactive oxygen species (free radicals) in the human brain, which are associated with neurodegenerative diseases including Alzheimer's disease. Professor Barbara Maher, from Lancaster Environment Centre, and colleagues (from Oxford, Glasgow, Manchester and Mexico City) used spectroscopic analysis to identify the particles as magnetite. Unlike angular magnetite particles that are believed to form naturally within the brain, most of the observed particles were spherical, with diameters up to 150 nm, some with fused surfaces, all characteristic of high-temperature formation – such as from vehicle (particularly diesel) engines or open fires. The spherical particles are often accompanied by nanoparticles containing other metals, such as platinum, nickel, and cobalt. 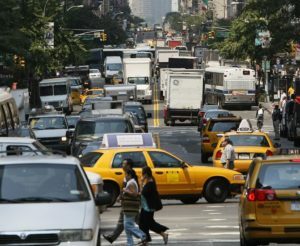 Professor Maher said: "The particles we found are strikingly similar to the magnetite nanospheres that are abundant in the airborne pollution found in urban settings, especially next to busy roads, and which are formed by combustion or frictional heating from vehicle engines or brakes." Other sources of magnetite nanoparticles include open fires and poorly sealed stoves within homes. Particles smaller than 200 nm are small enough to enter the brain directly through the olfactory nerve after breathing air pollution through the nose.....The results have been published in the paper 'Magnetite pollution nanoparticles in the human brain' by the Proceedings of the National Academy of Sciences. 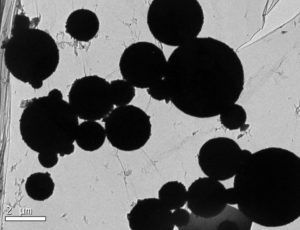 Image of magnetite nanoparticles from the exhaust plume of a diesel engine. Credit Maher et al study, 2016. A microscopic image shows magnetite nanoparticles in the human brain. Barbara Maher et al study, 2016. Author SimaPublished on March 15, 2017 March 27, 2018 Leave a comment on Benefit of Tea Drinking? 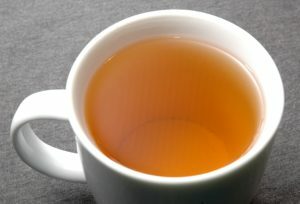 A study found that daily drinking of tea (either black tea/oolong or green tea) is associated with a lower risk of "neurocognitive disorders" - in cognitive impairment in women, and in a lower risk of Alzheimer's disease in both men and women who are genetically predisposed to the disease (apolipoprotein E (APOE) genotype) - when compared to those who never or rarely drank tea. The researchers called long-term daily tea drinking as "neuroprotective". 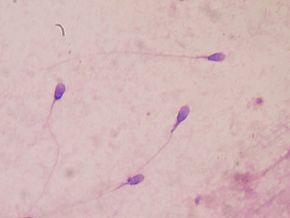 The study followed 957 residents of Singapore for several years. All were "cognitively normal" when the study started (average age 64 1/2 years), but 72 people or 7.5% had developed neurocognitive disorders by the second follow-up (after 4 years). The study found that there was a dose-dependent relationship - the more tea that was drunk daily, the more protective it appeared to be. And it was most protective in those who consistently drank tea at both time points - when the study started and till the end. However, there was a gender difference - it seemed to protect women from neurocognitive disorders, but not men. But in those who were genetically predisposed to Alzheimer's - tea drinking was protective for both males and females. Further studies will follow up to see if the gender difference holds - they couldn't explain it. Tea drinking reduces the risk of cognitive impairment in older persons by 50 per cent and as much as 86 per cent for those who are genetically at risk of Alzheimer's. A cup of tea a day can keep dementia away, and this is especially so for those who are genetically predisposed to the debilitating disease, according to a recent study led by Assistant Professor Feng Lei from the Department of Psychological Medicine at National University of Singapore's (NUS) Yong Loo Lin School of Medicine. The longitudinal study involving 957 Chinese seniors aged 55 years or older has found that regular consumption of tea lowers the risk of cognitive decline in the elderly by 50 per cent, while APOE e4 gene carriers who are genetically at risk of developing Alzheimer's disease may experience a reduction in cognitive impairment risk by as much as 86 per cent. He added, "Based on current knowledge, this long term benefit of tea consumption is due to the bioactive compounds in tea leaves, such as catechins, theaflavins, thearubigins and L-theanine. These compounds exhibit anti-inflammatory and antioxidant potential and other bioactive properties that may protect the brain from vascular damage and neurodegeneration. Our understanding of the detailed biological mechanisms is still very limited so we do need more research to find out definitive answers. Published on March 15, 2017 March 27, 2018 Categories brain, healthy aging, nutritionTags Alzheimer's disease, neurocognitive disorders, tea drinkingLeave a comment on Benefit of Tea Drinking? 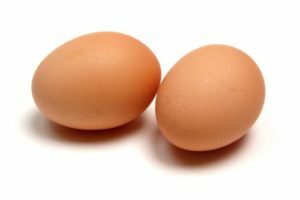 Published on February 3, 2017 March 27, 2018 Categories brain, cardiovascular health, diabetes, healthy living, nutrition, strokeTags Alzheimer's disease, dementia, egg consumptionLeave a comment on Eating An Egg A Day May Be Beneficial? Recently some studies have found that a diminished sense of smell occurs in persons with mild cognitive impairment and Alzheimer's disease. Doctors have long observed that patients with Alzheimer's frequently complain that food doesn't taste good anymore (because they can't smell what they are eating). This is because odor signals from the nose are processed in areas of the brain that are among the first to be affected by Alzheimer's disease. It is thought that as dementia starts and progresses, the parts of the brain that distinguish odors start to deteriorate. Tests that measure the sense of smell may soon become common in neurologists' offices. Scientists have been finding increasing evidence that the sense of smell declines sharply in the early stages of Alzheimer's, and now a new study from the Perelman School of Medicine at the University of Pennsylvania published today in the Journal of Alzheimer's Disease confirms that administering a simple "sniff test" can enhance the accuracy of diagnosing this dreaded disease. The sniff test also appears to be useful for diagnosing a pre-dementia condition called mild cognitive impairment (MCI), which often progresses to Alzheimer's dementia within a few years. Roalf and his colleagues used a simple, commercially available test known as the Sniffin' Sticks Odor Identification Test, in which subjects must try to identify 16 different odors. They administered the sniff test, and a standard cognitive test (the Montreal Cognitive Assessment), to 728 elderly people. The subjects had already been evaluated by doctors at Penn with an array of neurological methods, and according to expert consensus had been placed in one of three categories: "healthy older adult," "mild cognitive impairment," or "Alzheimer's dementia." Roalf and his team used the results from the cognitive test alone, or combined with the sniff test, to see how well they identified subjects in each category. 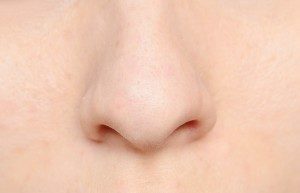 As researchers report, the sniff test added significantly to diagnostic accuracy when combined with the cognitive test. For example, the cognitive test alone correctly classified only 75 percent of people with MCI, but that figure rose to 87 percent when the sniff test results were added. Combining the two tests also enabled more accurate identification of healthy older adults and those with Alzheimer's dementia. The combination even boosted accuracy in assigning people to milder or more advanced categories of MCI. Prompted by prior studies that have linked a weakening sense of smell to Alzheimer's, doctors in a few larger dementia clinics already have begun to use smell tests in their assessments of elderly patients. Part of the reason the practice has not yet become common is that the tests that seem most useful take too long to administer.